Healthcare will be a key issue in the 2018 Governor’s race. Our state has made tremendous progress expanding healthcare access to 95% of Oregonians – including all kids – and voters care deeply about protecting that progress. 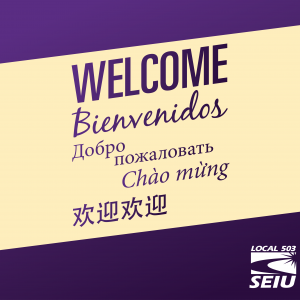 The next Governor will play a key role in decisions that impact every SEIU member, from Medicaid funding to the rules governing PEBB. 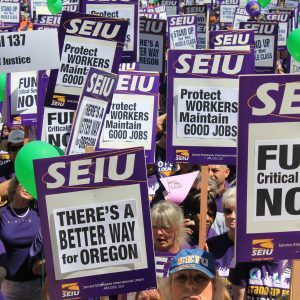 So here’s a look at where the candidates stand on three healthcare issues that have a direct impact on SEIU 503 members. Voters overwhelmingly approved Measure 101 in a special election on January 23, 2018. The measure funded the Oregon Health Plan. Had it been defeated, 430,000 Oregonians — a including many SEIU 503 homecare workers — would have been at risk of losing their health insurance. Thanks to strong union membership in Oregon, public employees have bargained and maintained good healthcare benefits, which are managed by the Public Employee Benefits Board (PEBB). Kate Brown has said that cutting worker compensation, which includes healthcare benefits, will hurt our public services by making it harder to hire skilled people to do these important jobs. 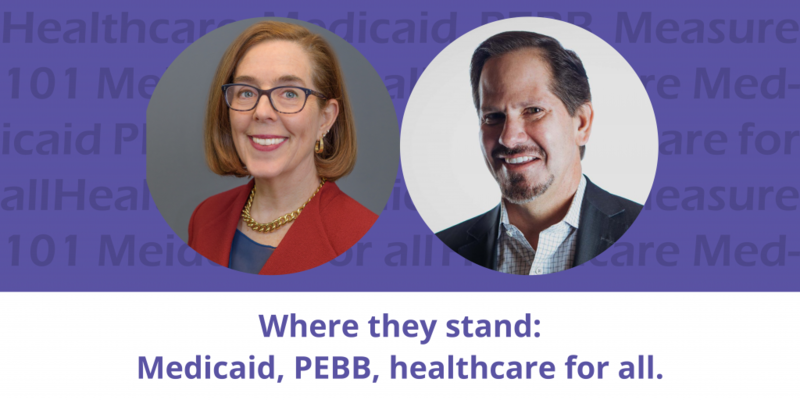 Knute Buehler has made budget cuts at PEBB a key part of his platform. Both candidates say they support full healthcare access. However, their records tell a different story. Under Kate Brown’s leadership, Oregon has expanded healthcare access to 95% of the state, including 100% of Oregon children. She supported the funding needed to make this happen (Measure 101) as well as the legislation that expanded healthcare access to all children (SB 558). Knute Buehler opposed both Measure 101 and SB 558. Kate Brown has demonstrated good leadership on healthcare during her time as Governor, and she is committed to building on the progress we’ve made in Oregon. Knute Buehler has said many of the right things. (It’s worth noting that Buehler’s healthcare platform includes a plan to cut opioid deaths in half, a laudable goal.) However, his record tells a different story. Buehler’s focus on taking away benefits from public employees – be they retirement or healthcare benefits – reveals a politics of winners and losers. Our focus should be on improving healthcare plans for everyone, not weakening the few good ones to pay for marginal gains elsewhere. 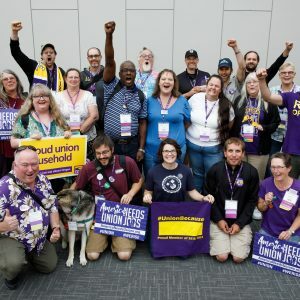 After examining these and other issues, SEIU 503 members on the CAPE Council – our union’s political board – voted to endorse Kate Brown for Governor of Oregon.